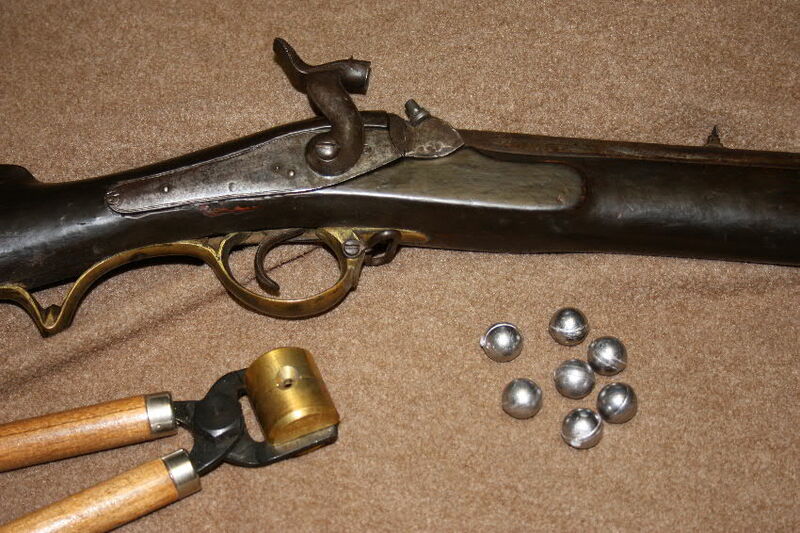 After the bore was lapped, the Nepalese Brunswick rifle shot reasonable 40-yard groups with the belted ball. Lapping the Nepalese Brunswick Rifle’s bore with sand and emery papers was necessary to remove sharp ridges of metal from the bore so that the rifle would shoot accurately enough to kill game at 40 yards . These metal ridges stood on either side of the barrel’s two grooves, tore-up patches and ruined accuracy with both round and belted balls. Previous work illustrated that using an 11-gauge over powder wad (available from Dixie Gun Works), Cream of Wheat breakfast cereal (any American grocery store), and a lubricated (Thompson/Center Arms Bore Butter) cotton pillow-tiking patch (used for covering feather pillows) resulted in arguably improved results; but these were terrible, at best. Hollow-based bullets , if from special molds that would give comparatively light-weight bullets (like Buffalo Bullet’s Ball-Et), as used by Russia in their versions of the Brunswick Rifle, might work in the rough Nepalese barrels; but I do not have the capabilities to make such bullets. If someone else has the time and equipment to experiment with making such a mold, get in touch. This would be nice to have, but I do not think that there would be sales for more than 20 or so molds worldwide. First three-shot group at 30 yards after bore lapping. Jeff Tanner, the British mold maker, suggested that I clean up the barrel to remove these bothersome metal ridges. I put some sand and emery paper on a 12-gauge shotgun jag, chucked a shotgun cleaning rod into a hand drill and lapped the barrel. 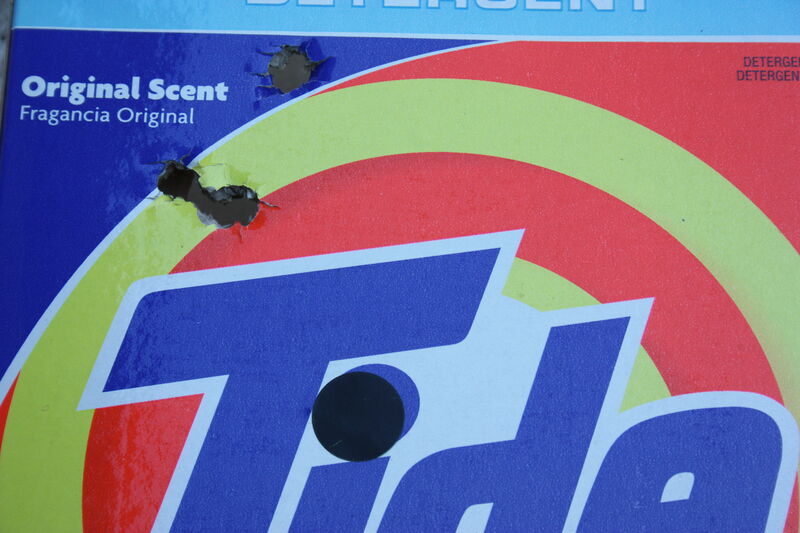 After the first clean-up of the bore, I fired a few shots at a Tide box at short range. This test shooting gave a 2-inch, three-shot group at 30-yards, rather than the almost random scatter that I had seen before. More lapping was done, and recorded on the video, “A Big-Game Load for the Nepalese Brunswick Rifle which on YouTube at the following location: http://www.youtube.com/watch?v=1nVdhcxBoTg&layer_token=f3cf4bf7c35b2795. After the third shot fouling prevented accurate shooting. to use it on whitetail deer during Georgia’s black-powder deer hunting season which starts in about 10 days. 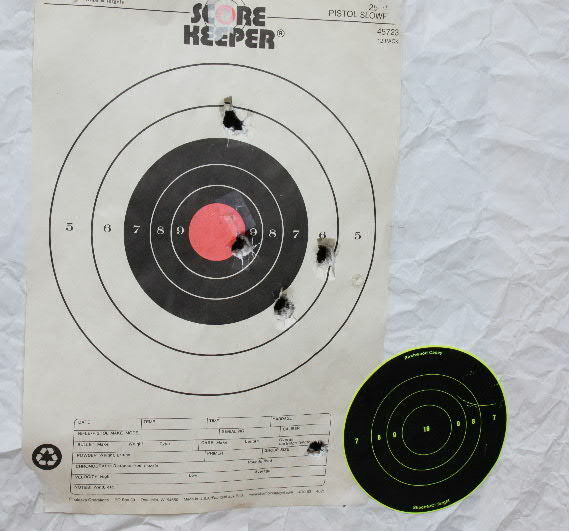 My shots are most often well within the demonstrated 40-yard range where I can expect the gun to produce 3-inch groups. After casting some harder lead balls to insure deeper penetration, I may even take the Brunswick rifle on an elk hunt, but I want to discover more about load performance before using the gun on heavier animals. « Can I Hunt with my Cowboy Action Guns and Loads?